(Issue 19) We won't send spam. We won't give out your email address. Okay, okay, so "need to visit" might be a bit strong. Nothing terrible is going to happen to you if you don't go along. This isn't a threat. What we were trying to say, before this intro got weirdly dark, is that Castle Fine Art, at the ICC, is a stupendous gem of a gallery and, right now, it's the home to a glut of truly great new pieces. Here's three reasons why we implore you to check it out. Entry, as always, is free. 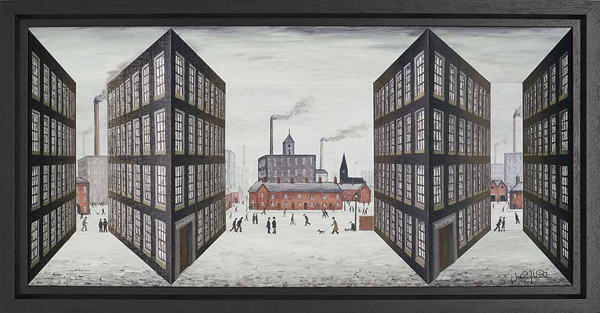 As much as it may look like the work of great Lancastrian L.S.Lowry, it's actually an incredible 3-dimensional piece by John Wilson whose 'In His Footsteps' collection of paintings are all Lowry-inspired. The buildings in the foreground jut out of the painting, creating a brain-twistingly wonderful trick on the eyes. Entitled ‘Down By The Mill’ there's a signed limited edition set of 150 priced at £795. 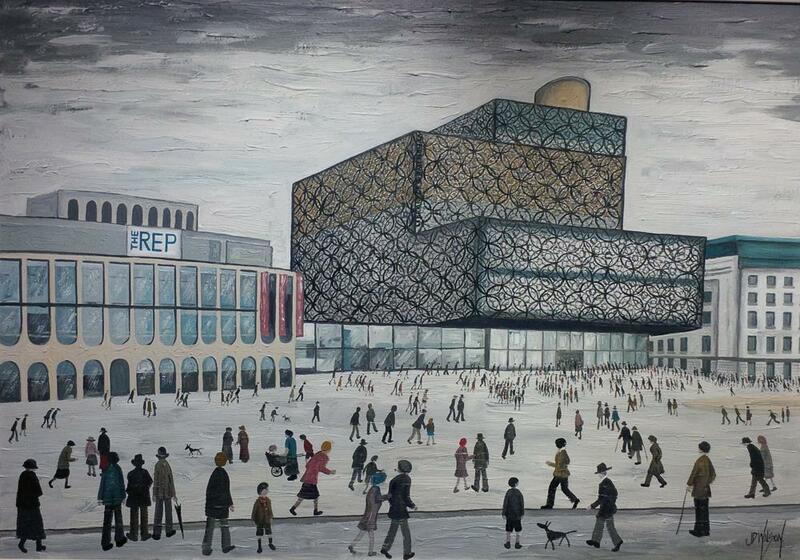 Oh, and still on display at Castle is this stunning painting of the Library Of Birmingham, again in Lowry's style. 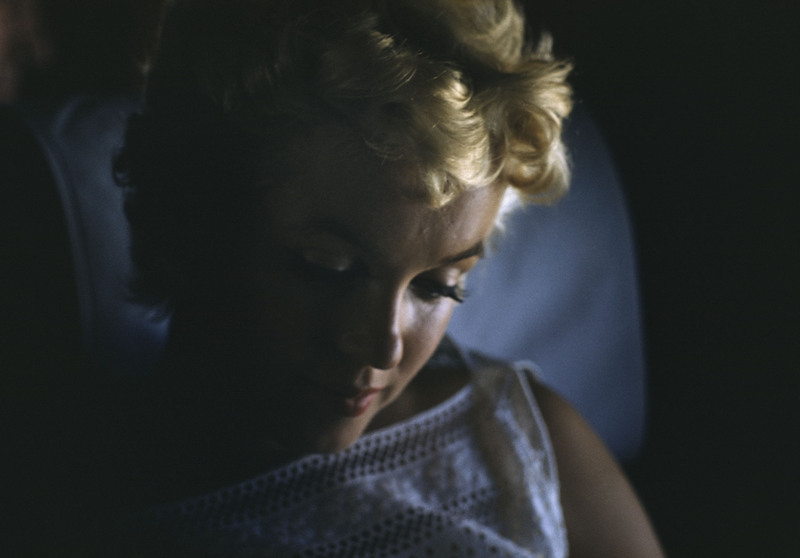 A selection of some of the greatest images Eve Arnold ever captured of her close friend, Marilyn Monroe, are on display. Eve was the first female member of the famous photographic co-operative, Magnum. 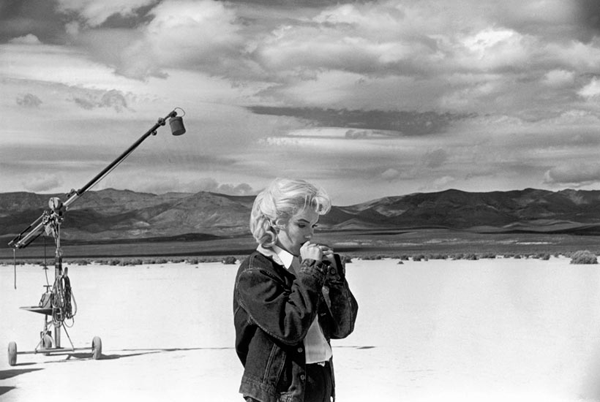 This image, called Nevada Desert, during the filming of The Misfits, 1960 is a silver gelatin print from the original negative and will cost someone £6750. If colour imagery is more your thing, this stunning shot entitled Promotional Tour, Illinois, 1955 is also on display, carrying a price tag of £2750. More realistically priced limited edition prints are available, here. A chance meeting in a London nightclub in 1966 between artist and film maker Stephen Verona and The Beatles' John Lennon led to a friendship and artistic collaboration which resulted, debatably, in the world’s first music video. You can watch it here. Verona set to work drawing the pop-art cartoon images for the hit She Said So, the images fitting the lyrics. Lennon joined him and the two wiled away the hours by sitting at Verona's kitchen table, smoking and colouring in some 240 hand drawn cels. A selection of those cels, all of which are unique, are on display. One will cost you £8000. If we had the money we'd go for this one. It's Burns Night tomorrow and if you're really boring you'll be ignoring the whole thing. If you're slightly less boring you'll be cooking a haggis and if you're on the cutting edge of all that's interesting and new, you'll be cooking a Staggis - the UK’s first venison haggis (Selfridges foodhall, £5.99). 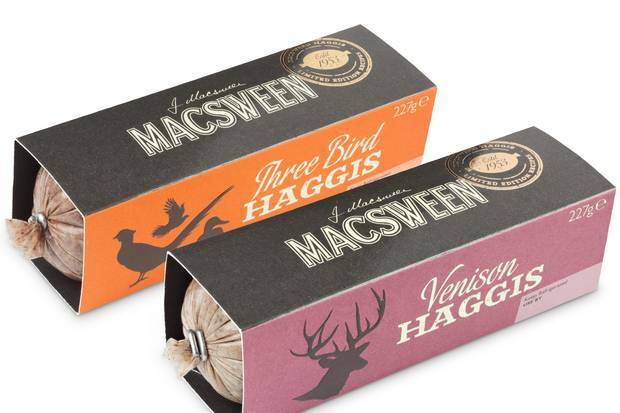 Usually made from sheep's heart, liver and lungs, Macsween of Edinburgh has decided that wild Highland red deer should stand in for a year. Harsh, but tasty. 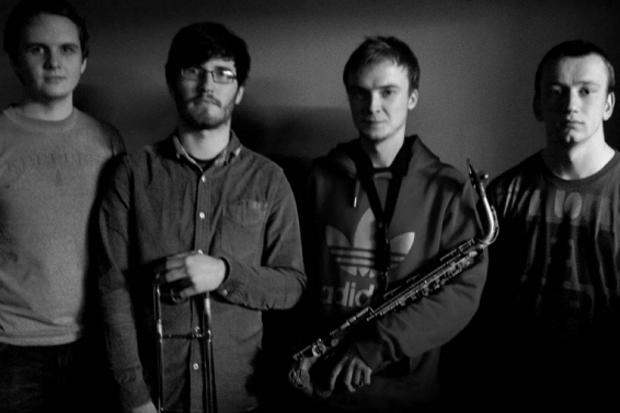 Once a month from January to April Ikon Gallery will present performances by some of the UK’s leading Jazz artists. A brilliant band with the least Google search-friendly name on Earth - (bink!) - kick things off, tonight. Yes, that's lowercase 'b', brackets and an exclamation mark. Expect an exciting combination of trombone and alto sax. You can book online until 5pm or pay on the door from 7pm. Tickets are £10. Jazz is the future. Follow me or I'll cry.